Julie and Mike Cliffe-Jones are friends who run the website Lanzarote Information. 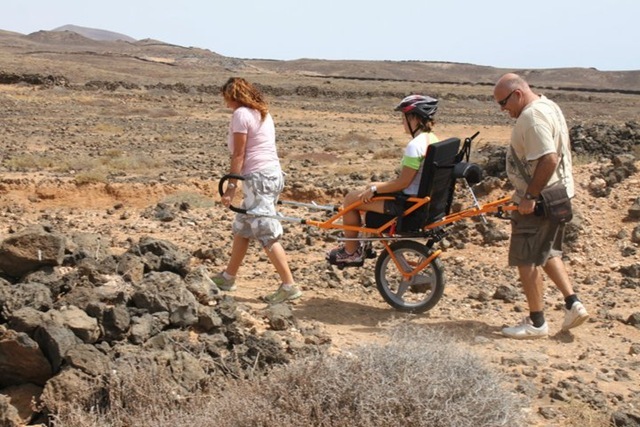 They’ve worked this year to help make the island more accessible for disabled visitors, and they also help out with a Lanzarote based charity called Tri WWW. Tri WWW is committed to helping disabled people who want to involve themselves in sports events. The charity owns and runs two Joelettes – off road wheelchairs – and takes disabled people to parts of the island they could never visit. The charity’s latest project is to buy a hand bike, which can be loaned to disabled athletes so that they can enter road races and triathlons. 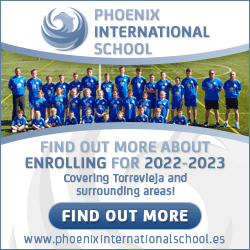 At €5000, they’re not cheap! Julie and Mike are trying to raise €500 towards the cost, and they’ve promised to run a half marathon at the renowned Music Marathon Festival on the 22nd October. They are looking for people to sponsor them, with the money going directly to the charity.